Michael F. Harris who is Native, belongs to the Gitxsan Nation, The Gitanmaax Village, The House of Wii Gaak, and The Wolf Clan, (Northern British Columbia). Michael’s Spirit Name is Nagwa Yel Wa which means He Who Walks Far. Michael and his wife Judy have been together 36 years. Michael has five children and four grandchildren, three of whom are Lifegiver Triplets. Michael was always industrious, in that he would find novel ways to earn money as a child. Once, as a five year old, he discovered receipts. He questioned about them. After it was explained to him he purchased a receipt book with his weekly allowance money. Michael's home was a busy place, with many gatherings. As a cute young boy, he went around and shared with the adults, stating, “If you give me money, I will give you a receipt”. The adults indulged Little Mikey, giving him money and waiting as he struggled to write out receipts for them, then laughing as they got their receipt, and Mikey was happy with the money he got. Another time, at nine years old, Michael went to the local hospital staff parking lot, searched out the most expensive looking vehicle and began to wash the car down, with materials he brought with him. Soon after a staff member drove up and stated, "Oh, John has you washing his car, eh?” Michael replied, "No, he does not know I am washing his car.” Asked why he was washing John's car, Michael replied that it was a real nice car, and it looked dirty, so he was washing it to make it look nice and shiny. The staff member went into the hospital, and John came out with an entourage of staff members, asking what was going on. Michael explained about the real nice car and such. The upshot was, Michael was paid handsomely by John and he was hired to wash all the staff’s vehicles. There are many such interesting stories of Michael finding ways to make money. When it snowed, he would get really excited. First thing in the morning, off he would go, with snow shovel in hand, and canvass the town, knocking on doors, offering to shovel driveways and sidewalks. If there was a huge snowfall, he would do roofs, for which was an extra charge, danger pay. Michael learned early that a hearty smile, and a desire to do an excellent job resulted in people wanting him to work for them. Whether it was excavating under an older house; cutting grass for a line of customers; delivering hand flyers at half a cent a flyer; babysitting; picking strawberries, raspberries, and beans; haying, which included running the tractor or packing bales of hay from the fields and then into the barns; stripping and re-polishing floors; being a swamper for a garbage truck; working as a car jockey at the import centers; selling magazine subscriptions door to door; washing cars; working in a food processing plant; running a gas station; managing a hockey goalie school; or working in construction, Michael did it all and more. During Michael’s life, there were times he was offered opportunities to engage in activities that would provide him with quick cash, which was usually attached to non-legal actions. Michael always asked himself, one question, “How will this affect my children and grandchildren”? The answer was an easy one, every time. He would decline and move forward. When Michael was making plans for himself in all aspects of his life, he would repeat this question to himself. He spoke of his children and grandchildren prior to being eight years old. He never wanted the negativity that was put into him as a child to be passed onto his children. He worked hard at improving himself for the future generations, not only for his family, but all people. At eighteen, Michael was taken to the Seafarers International Union Hall in Vancouver and introduced to the dispatcher by his mother's husband. Two days later he was dispatched to work in the engine room as a Day Man, on the MV West Star, a cruise ship, much like The Love Boat in the TV series. It was a relief position for non-union individuals, only because no union member wanted the job themselves. Michael, not knowing anything about ships or engine room rolled up his sleeves and worked hard, with a smile and a good positive attitude. Being polite, always on time for his shifts, and a ready hand at any and all jobs presented to him made him a desirable worker. As fortune smiled on him, the Day Man he was subbing in for, didnot return and Michael was able to get three cruises in before being bumped by a union member. Just as he was to leave the ship, fate stepped in again. A number of positions needed to be filled at the last minute, prior to sailing. He was asked if he would do a Pier Head Jump. Which is, jump off the pier onto the ship and sign back onto Articles for one cruise. Of course, Michael accepted. His one tour as a deckhand turned into a full time job, as at the end of the cruise, other crew members went to the union on his behalf, instructing the union to sign the kid up, and give him a steady posting on the ship as a deckhand. This was done. Then, three cruise's later, the First Mate came to Michael, asking him to step up to Able Bodied Seaman and become a Helmsman in the wheel house. Michael tried to decline, but received pushes from everyone, including his peers, to take the posting. This posting normally takes seven years to get, where Michael was being offered the position with just seven weeks experience on the ship. After much encouragement, Michael accepted and changed positions. He finished the season, after which he went back to secondary school to complete Grade 12. While at school Michael took on pizza delivery and a dishwasher job. After graduating Michael entered the lucrative construction industry as a common laborer, this carried him through until he decided to use his Marine Union Certification and hired on as a cook-deckhand on the tug boats, through the Port of Vancouver. He maintained this employment until he decided to move and work in Central Ontario as a crafter of freezers and coolers. He did this job for a year, before the salt water called him back. Michael returned to the West Coast on a Sunday in May, and found employment the next day in the construction industry, due to his hard work previously as a laborer. This job carried him for a couple weeks, until a deckhands position opened up at a tug boat company in Vancouver. He returned to the sea. He worked up and down the West Coast for five years, living on tugs for two weeks at a time. After five years, he transferred into the Fraser River and Vancouver Harbor Shift Tug Fleet. This meant he was able to return home daily, after twelve hours work. At all times, he honed his skill as a seaman, in all the tasks onboard the tugs. Sometimes being chastised for his many questions and curiosity in how, when and where things were to be done or cared for. Michael married shortly after re-joining the marine industry, and remained within the shift tug fleet through to today. This afforded an opportunity for him to be involved in his children's life as dad, coach and manager in many sports organizations, and as a parent supporter at school, a leader in Scouts, etc. Michael attended Marine School at age twenty-seven and received his Mate's Certificate and his Command Endorsement, which is a Captain's license. Michael continued to train on the tugs as a deckhand. During the 1980's world recession, Michael's employment was continuous, due to his seniority. However, the recession did slow his opportunities to be promoted. When the economy began to move positively and the company he worked for was promoting and re-hiring, Michael was the second deckhand to be promoted and achieve active Captain status. Michael's move up through the ranks as a Master on all the various sized tugs in power and weight was supported by his intense desire for training and doing all work possible, even volunteering for the extra or harder jobs within the industry. He learned well, through observation, and always asking questions on everything imaginable. The marine industry is a very dangerous one, and if one is not properly trained, with good management skills, while keeping a look out for possible dangers and being sure there is always a way out of any given situation, one could end up in a world of hurt, in short order. Michael's postings as a Master began with tugs of small and medium size and power, but he soon advanced to commanding larger, more powerful boats. He was one of the Captains to Master the newly commissioned Resolution, which is a 500 ton, 6,000 horsepower Tractor Tug. Michael is one of two Captains who became Master on the newly commissioned 500 ton, 6,300 horsepower tractor tug, which docks, undocks, escorts and recovers deep sea vessels. At every turn in Michael's employment, he always had the attitude that whatever he was doing, whether it is scrubbing toilets as a deckhand, splicing ropes, cooking, painting, navigating, or completing paperwork, he would complete it all, the best he could. Attitude is important to him, along with education, in the classroom or the work environment. When Michael was alerted that the company was going to offer Captains an opportunity to join the Tractor Tug Division, He sprang into action. Never having touched the controls of tractor tugs, he first went to a marine architect that designed them. He asked for the technical information on the tractors, what was the designed tug was meant to do, and how the design was meant to be used. There was a lot of information to be learned before Michael could completely understand all of the details. Next, he went to the Albion Ferries on the Fraser River and asked to be shown the operation of their ferries in docking, undocking and in the transporting of the vessel across the river, with their tractor propulsion units. Again, Michael was after the technical information, during the working ferry demonstration. Finally, he went to the tractor tug that he was to be tested on. Michael witnessed the tugs operations. He was developing his mind for the new employment. Michael witnessed the tugs operations. He was developing his mind for the new employment opportunities. When he was called to perform on the testing day, without ever having touched the controls of any tractor tug, Michael came in first of the ten Masters being assessed. All other Captains had various amounts of hands-on training with the controls of tractor tugs, however they did not search out the technical data as Michael had. As a result, Michael was offered two full weeks of hands-on training. When training was completed, he was tested for abilities and skills, which he passed easily, and he entered the Tractor Tug Division. It was Michael's desire to be educated in all aspects of his employment, prior to the employer's direction throughout his work history that has assisted Michael in an exemplary employment history in the marine industry. Today, Michael is the only identifiable First Nations Captain to be a Master on the high powered, high-weighted tractor tugs on the west coast of Canada. Michael attributes his Native Spirit of being honorable, respectful, and having a caring attitude, combined with his cultural and spiritual teachings, to aspire to always do the best with that which is at one’s disposal for his success in all employment opportunities he was involved in. Throughout Michael’s history of various employments, he was asked to remain on the job at hand, and when Michael moved onto other employment, he was always requested to consider returning, at any time, as a job would be waiting for him. Michael’s history on working did not stop at paid employment. He volunteered at many diverse public community services. As a young teen, he volunteered at the YM-YWCA as a Youth Worker for gymnastics, trampoline, arts & crafts and such. He was on the Youth Council for Chilliwack, which organized youth events throughout the year. He was editor of the school newspaper, and fundraiser for the school and various clubs. When he was in his thirties, Michael began to volunteer with Big Brothers, which he would be involved with for twelve years. He spent time on several endeavors, including sitting on the executive board. He organized many campaigns to raise awareness and funds for various service clubs; was host for four years on a TV program for sign language and the explanation of deafness; coached and managed several youth sports; served as a troop leader for Scouts Canada, as well as being Assistant District Commission for the Beaver Colony Leaders and a trainer of Scout Leaders in all sections. He is also active in many First Nations committees to raise awareness and funds for many Native concerns, and assisted in organizing and fundraising for the March for Murdered and Missing Woman on The Highway of Tears. He was a board member of The Urban Gitxsan Society for eight years, and an organizer of Idle No More Ceremonies, in addition to many more activities too numerous to name here. Michael was born with Spiritual Gifts and only began to exercise the gifts these past fourteen years. The gifts, teachings and awareness were for Michael to use for The People, which he does in a humble way. Michael’s gifts are becoming more widely known and as such he is being called more and more to do healing, counseling and teaching work for The People. Michael is now considered an Elder due to his spiritual and cultural work and having reached the age of sixty one winters. Michael’s comments include, “Our Native Bows and Arrows today, are now Education, being clean of Alcohol and Drugs, Respect for Self and all Creator gives us, Non-Racist attitudes, Good hard work in attitude and job at hand, Love and Caring for Mother Earth and all Beings, through God Our Creator. Aho”. 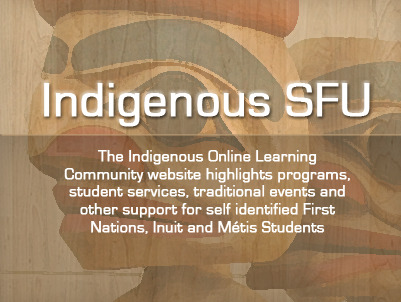 Michael will be a panelist the the Indigenous Peoples Career Stories event Febuary 19th. Find out more.